Carefully designed so that is very compact and ease to use. Principle of Transit Time and MultiPulse Technology. 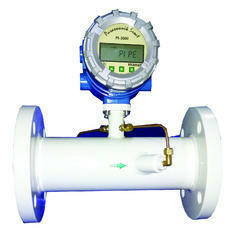 Can be used for mobile measurement, flow rate calibration, datas comparing, meters running status checking. A variety of liquid applications can be met: ultra-pure liquids, potable water, chemicals, reclaimed water, cooling water, river water, plant effluent, etc. It is a handhold tansit-time ultrasonic flow meter with clamp-on, transducers for non-invasive liquid measurement. 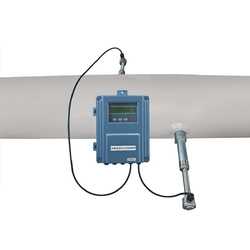 Our microprocessor based, user friendly and field programmable flow measurement technique allows no interruption of the process flow and has low installation costs. Rajkamal Water Meter Mfg. Co.